(Chicago, IL)- On Wed. Oc. 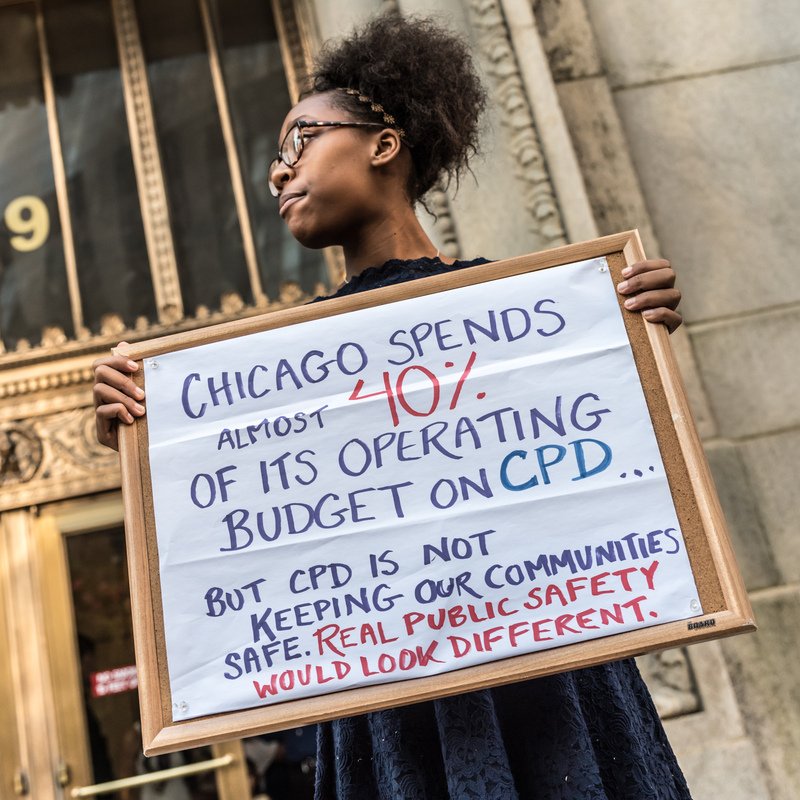 28 at 12:30 pm, community organizations will convene at City Hall to release a report on Chicago Alternative Policing Strategy (CAPS). The report is a response to President Obama’s call, in his speech at the meeting of the International Association of Chiefs of Police (IACP), to increase funding for police agencies and to renew the commitment to community policing. The report, titled “The Counter-CAPS Report: The Community Engagement Arm of the Police State,” finds that data gathered at CAPS meetings in several neighborhoods around the city shows that CAPS further strengthens divisions within mixed-income communities. The report found CAPS meetings permeated with racially coded language, where police officials inappropriately encourage small groups of self-selected residents to harass young people of color and target low-income housing. The report challenges the president’s claim that community policing can improve the relationships between the police departments and minority communities. It shows that community policing mobilizes residents already committed to police involvement, increasing police surveillance of a community’s most vulnerable residents or visitors. The solution is not, as President Obama suggests, renewed commitment to community policing and further investment in law enforcement. Instead, the appropriate response is to reduce funding for police agencies and reinvest that money in social services like education and public health that will meet real community needs. The release of the “Counter-CAPs Report” comes on the heels of a series of non-violent direction actions organized around the IACP meeting. On Saturday, October 24th, 60 activists, from the same organizations releasing this report, were arrested after they blocked intersections and entrances of the IACP meeting.